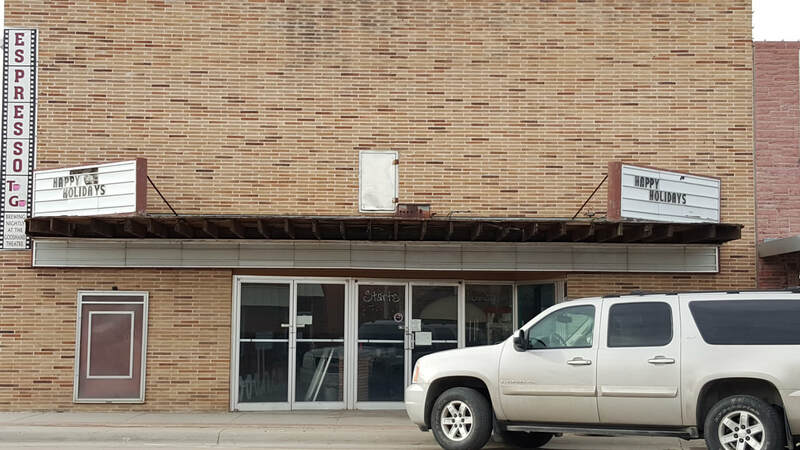 Friends of the Goodhand is a group of concerned citizens that joined together to help operate activities at the Goodhand Theatre, to raise funds, and plan the renovation. Friends of the Goodhand has the responsibility of fundraising, organizing, planning, and administering the operations of the Goodhand Theatre. Friends of the Goodhand was established in the fall of 2015 with the help of numerous volunteers. We received our non-profit 501C3 status in May 2016. The Friends of the Goodhand consists of a 6 member Board of Directors. Our board members and volunteers come from around the Kimball area. All duties in the theater are covered by volunteers, from concession work, to fundraising, and marketing. We have successfully run the theater and provided movies every first and third weekend of each month since May 2016. 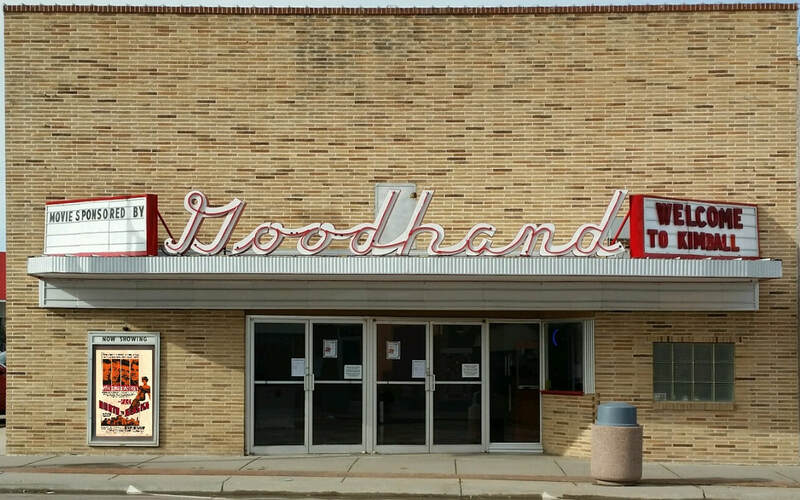 Friends of the Goodhand's operational income is funded from movie sponsors, on screen advertising, free will donations, concessions, and memberships. The Goodhand Theatre was closed for approximately 5 years before the Friends of the Goodhand were organized with the help of the Kimball community. The city of Kimball and Foward Kimball Industries previously owned the Goodhand Theatre and graciously allowed the Friends of the Goodhand board to renovate and update the theatre while the board raised the funds to purchase the building. The Friends of the Goodhand Board were able to purchase the Goodhand Theatre in November of 2016. The Friends of the Goodhand have received several grants and many donations from individuals, businesses and organizations that has allowed the Goodhand Theatre to have it's lobby and bathrooms renovated to resemble what the theatre looked like when the theatre was opened by Miss Marie Goodhand in 1954. The auditorium's acoustic fabric has been replaced and the 63 year old heating and air-conditioning systems have been updated, since then our patrons can enjoy a climate controlled viewing throughout the seasons. Even if you haven’t been inside the theatre to see all the updates that have been made, you can see the new awning and LED neon Goodhand Theatre sign that puts a nice red glow on our Kimball downtown street. To us, it represents the pride and determination of all Kimball and surrounding area residents that have committed to help in allowing us to show movies in our Goodhand Theatre. FOR MORE PICTURES OF OUR RENOVATION PROGRESS CLICK HERE!